You can not stand seeing the same houseplants anymore? Try to grow exotic varieties. You will see, it is not so difficult that you could believe it. 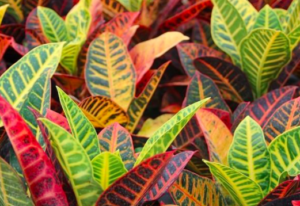 Although the spider plant, dieffenbachia, and geranium make very beautiful houseplants, there are plenty of others from all over the world that can brighten up your home. Why not try something a little different? 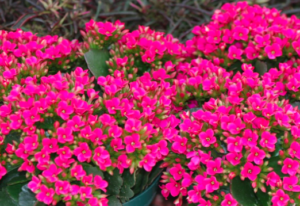 Whether you prefer plants for their flowers or for their original foliage, choose healthy specimens, provided and compact, with no leaves yellowed or dead and no obvious signs of disease. The following small guide will help you choose the best ones for your home. This shrub with leaves reminiscent of maple is a close cousin of the hibiscus. 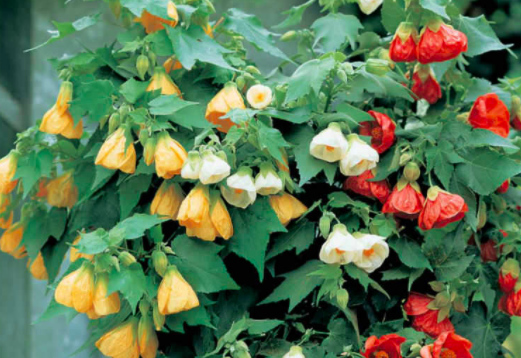 The color of its bell-shaped flowers ranges from pink to walleye to salmon. He needs sunshine and regular watering. 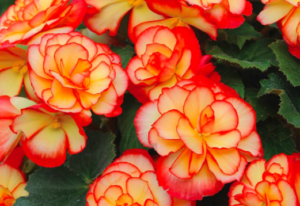 Although some begonias are cultivated for their flowers, varieties with colorful ornamental foliage in purple, burgundy, silver or green are particularly attractive. The begonia prefers bright but indirect light and temperatures oscillating around 20 ° C. Water little and frequently, avoiding excess. 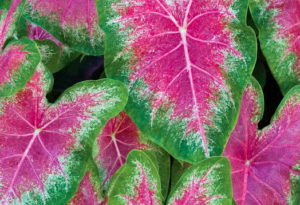 Plant with heart-shaped foliage and contrasting colors of red, pink and white, depending on the variety. He likes bright or moderately clear light, warm temperatures, lots of humidity and a regular supply of fertilizer. Sometimes called “Joseph’s mantle” this plant with bright leaves striped with orange, red and walleye. She prefers bright light and needs a daily spray of water during the winter. 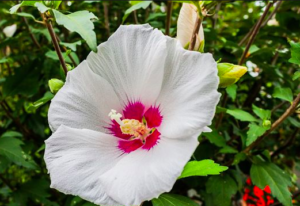 This tropical plant produces large bright flowers. It is found in standard form or topiary form. Hibiscus needs a lot of light and warm temperatures to produce flowers. During the winter, spray the leaves daily with water to reduce the risk of spider mite attacks. The waxy hoya is usually planted in hanging baskets or is climbed. Its growth is slow but its attractive foliage deserves patience. The leaves of some varieties are variegated and sometimes curiously twisted. 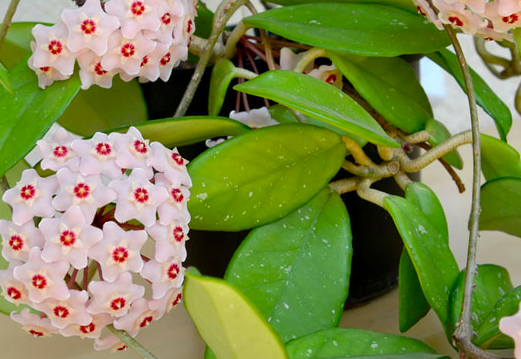 It tolerates weak lighting but needs bright light to produce its star-shaped scented flowers. This greasy plant with fleshy leaves is topped with clusters of small flowers ranging from yellow to red that bloom during the fall and winter. 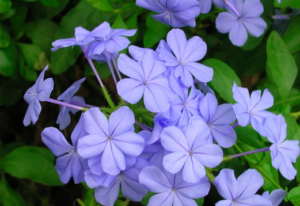 It needs bright light and temperatures hovering around 20 ° C.
The blue plumbago is a beautiful tropical shrub bearing clusters of small blue flowers. It can be pruned to give it a compact port or make it climb. 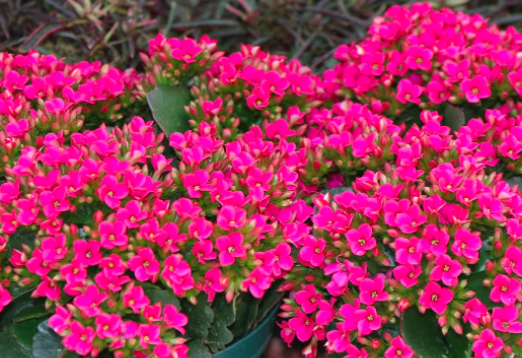 To bloom, it needs bright light and warm temperatures. Remove dead flowers to prolong the flowering period.